Thank you for all visiting me in 2012.....it was a great year and it's been wonderful to share my crochet, holidays, love of nature, sewing, baking, thrifting, reading and running with you kind people. Wishing you and yours good health and happy times in the coming year. it's been such a dark, wet week here that I've been only too happy to immerse myself in some pretty yarny and floral images stored on my computer in 2012. There are quite a lot! This years may even be a bit earlier. I love red and these beauties really took my breath away on Christmas morning. Thank you for all your super kind comments on my crochet post....they really made my day. 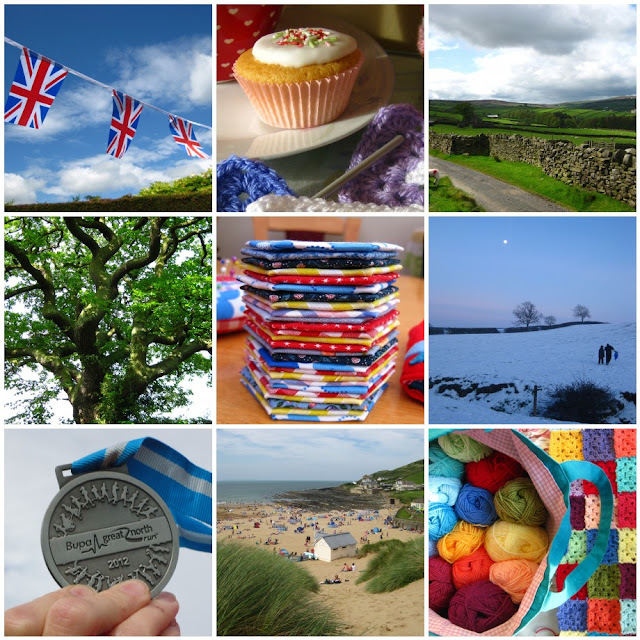 I've put together some of my favourite images of this years crochet to share with you today. It was great fun to look back at my finished makes and see what a productive crochet year I've had. Without this space it would be so easy to forget when they were made. But I'm making some more . I have a Pay it forward ( from last December! oops ) to honour and I will be including one of these in each of the three parcels, along with other goodies. I've loved visiting so many wonderful blogs this year and still love being part of this inspiring space. Almost all of these projects are , at least in part, inspired by things I've seen and adapted from the wonderfully clever folks who so generously share their projects and patterns with us. My creative life would be a much duller place without them. Thank you so much for visiting and commenting on my crochet , among other things, this year. And thanks for indulging me in this review.